The gifted brain takes in and retains information more quickly and with less repetition than others. We need to keep this in mind when teaching gifted students. Their brains need to be challenged in order for them to grow and learn. At the same time, they need instruction. Leaving them to learn on their own isn’t meeting their needs. The trick comes in being able to provide supported struggle. 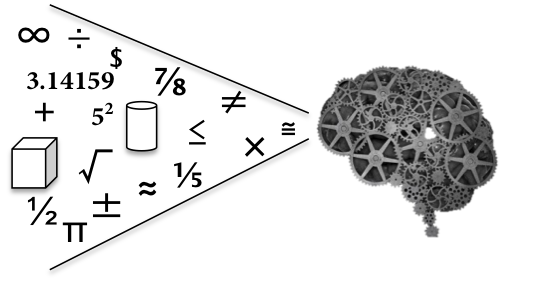 So how do we challenge our gifted and advanced students in mathematics? First and foremost, do NOT simply give them more to do. This would include giving them the “Challenge WS” after they finish the other problems. Pretest and compact students out of material they already know. If you have a 1st grader who has already demonstrated mastery in adding and subtracting, there isn’t any reason for him/her to continue to practice that standard. Base your decision on data. *Hint- Don’t use problems with multiple choice answers. These are too easy for students to back their way into the problem and determine the answer without actually knowing how to solve the problem. Regardless of how (or what ) you compact, be explicit with the criteria for participation, as well as your behavioral and academic expectations for students. See left for an example. I posted this in my classroom and reviewed it with the entire class. I was careful to explain what would happen if students elected not to follow the criteria. Although I did have to remove students, this was a rarity. Pretesting doesn’t have to be difficult for the teacher. Take for example the Common Core Kindergarten Math Standard that requires students to write their numbers from 0-20. You can simply give the child a white board (or a blank sheet of paper) and ask them to show you what they can do. The very last thing a kindergarten student needs is additional practice writing 0-20 if they already know how. Give them something more challenging. 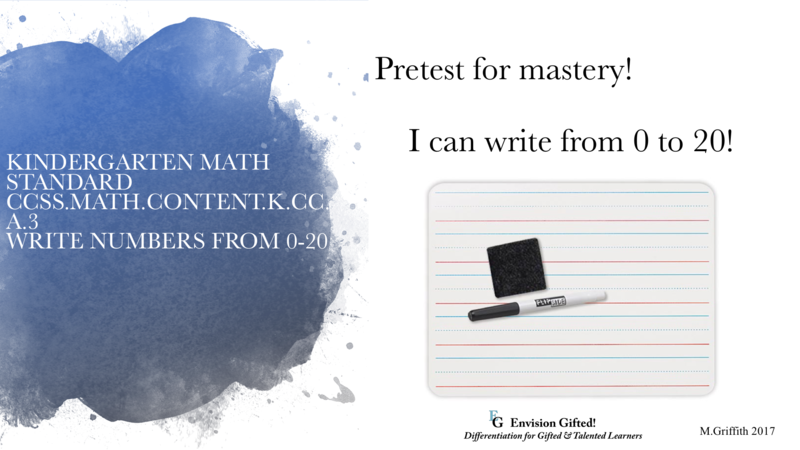 Many math programs and districts offer pretests at the trimester (or semester) level. Similarly, many programs offer additional assessments at the unit level. Use these. Trimester and semester pretesting is helpful because you can compact a student out of multiple standards at one time. *Caution! Trimester tests sometimes only offer 1 or 2 problems for some standards. You might want to add a couple of problems to the assessment. The Hardest 5 was offered to every student at the beginning of each lesson. Essential, if the student could answer the hardest 5 questions without any assistance, they were compacted out of the lesson and that night’s homework (if it was the same standard/same type of problems). They could then work on another math activity. 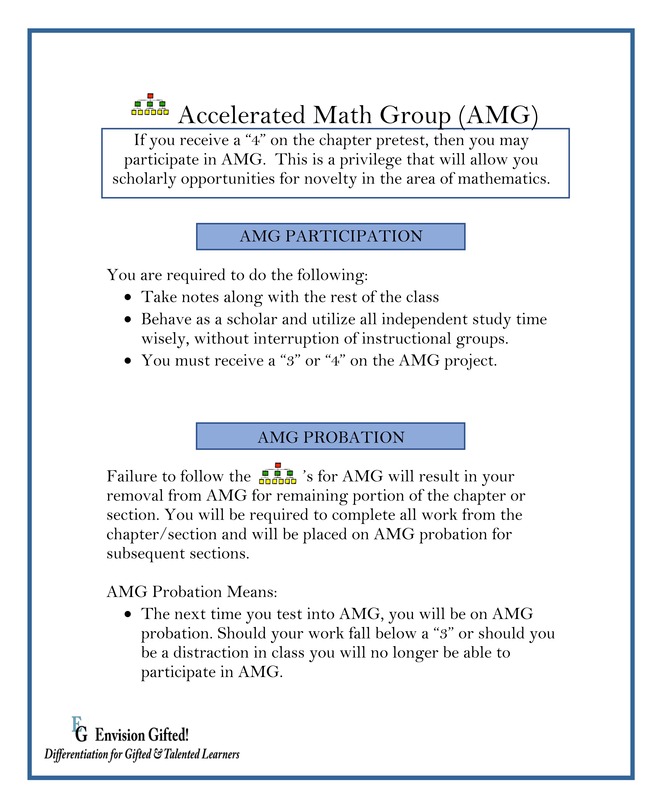 Want more on differentiating math for gifted and advanced students? Click the button. 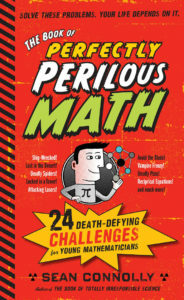 Looking for a book for your young gifted mathematician? 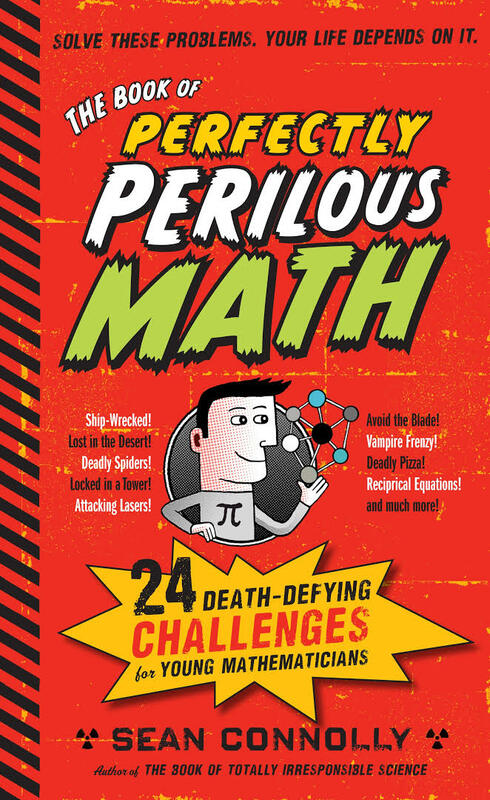 My 5th grade students really enjoyed Perfectly Perilous Math by Sean Connolly. It is rated for middle school and is great for problem solving. I used to go through it with my entire class. You can purchase this through Barnes and Noble, Amazon, etc. *Please note, I am not being reimbursed for this recommendation. It’s just a good resource.